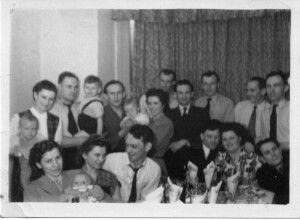 Some Club members celebrating in the Lounge, 1952. The Club was at 121 Middleton Road, Higher Crumpsall, then. This entry was posted in History 1948-2000. Bookmark the permalink.